October 17, 2014  Republican Gov. Rick Scott's campaign wanted organizers to cancel Wednesday night's debate if Democrat Charlie Crist was allowed to use a fan at his podium. March 20, 2013  Two prominent Democrats, including a former Republican governor who recently switched parties, hold commanding leads over the unpopular Scott, according to a poll. 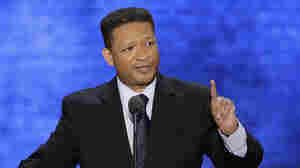 August 29, 2012  Both political parties are featuring high-profile convention speakers who once were on the other side. They get a lot of attention, but their new partisan paths don't always lead to long-term career success. November 17, 2010  The Florida Governor has submitted Morrison's case for consideration in the board of clemency's final meeting Dec. 9. 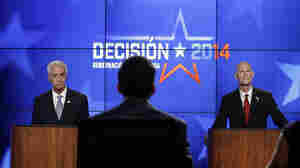 November 2, 2010  Rubio beat Crist who ran as an independent and Meek, the Democrat, in the three way race. October 22, 2010  The campaign to watch in Florida has shifted from the Senate race, which Republican Marco Rubio seems likely to win, to the gubernatorial contest, which is a dead heat between Rick Scott (R) and Alex Sink (D). October 7, 2010  Frontrunner Republican Marco Rubio made no major mistakes in his first debate with independent challenger, Gov. 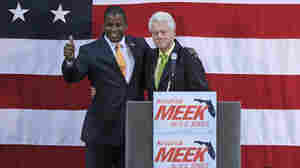 Charlie Crist, and Democrat Rep. Kendrick Meek. 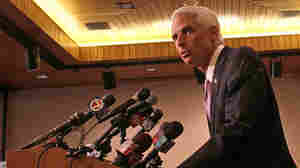 Rubio tried to link his opponents to Washington while Crist called Rubio extreme. Meek (D) Wins Senate Primary In Florida; Scott Upsets McCollum For GOP Gov. 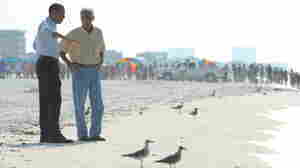 August 24, 2010  A mixed bag for millionaires in Florida. 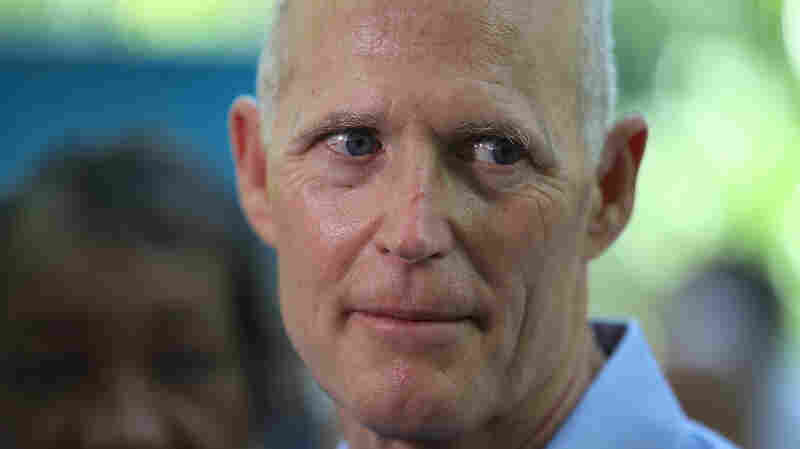 Rick Scott won the Republican nomination for governor, defeating establishment favorite Bill McCollum. But real estate mogul Jeff Greene fell way short in his bid for the Senate against Kendrick Meek. April 30, 2010  George LeMieux, the longtime ally of Florida Gov. Charlie Crist who was appointed by Crist to fill a vacant U.S. Senate seat, says he will not support his friend in his independent bid for the Senate. April 28, 2010  Florida Gov. Charlie Crist will end the suspense on Thursday and announce he will quit the race for the Republican nomination for the Senate and run as an independent. April 27, 2010  With Friday looming as the deadline to leave the GOP Senate primary and run as an independent, Florida Gov. Charlie Crist is still saying he has yet to make a decision. 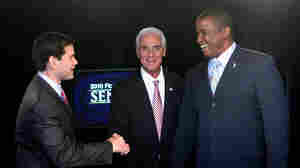 April 19, 2010  Florida Gov. 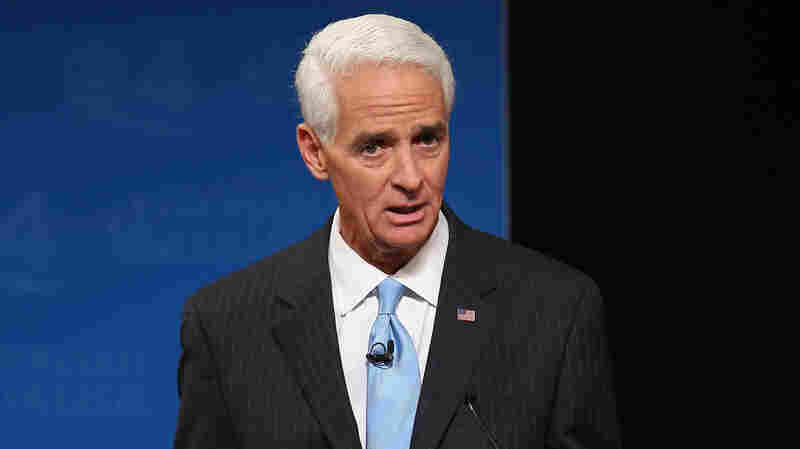 Charlie Crist was once the clear choice of Republicans to become his state's next senator. But he is now likely to lose the primary. 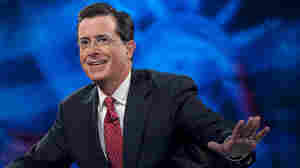 Will he now quit his party and run as an independent?